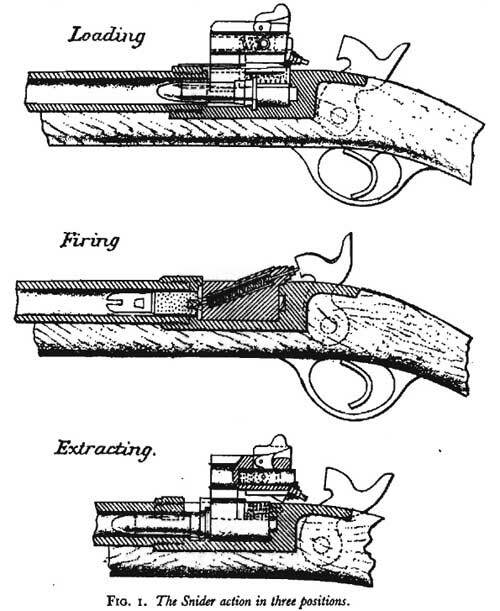 When it was finally decided to get serious about breechloading small arms, bullet designs were being worked on at the same time as breechloading systems were being developed. Most designs for cartridges at the time were paper based, leaving undesirable leakage at the breech end of the rifle. In 1866, Colonel Boxer, who at the time was superintendent of the Royal Arms Factory at Woolwich, introduced a built up cartridge. It was based on an iron rim with a brass insert to contain the primer parts, followed by a thin brass foil wrapped around the powder and bullet. The wrapping was sealed on the inside by shellac and thin paper to protect the foil from corrosion and the outside was wrapped in paper to seal out moisture. 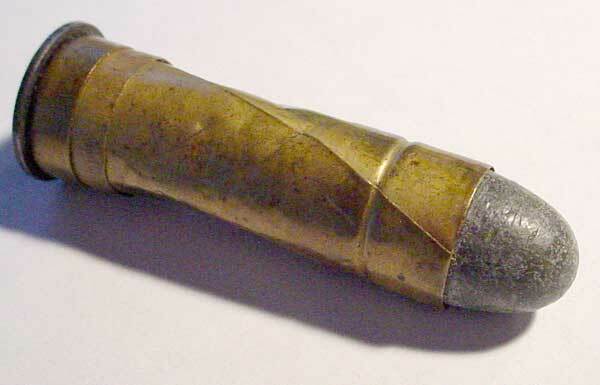 The brass foil expanded on firing to seal the chamber, preventing gas from leaking out of the breech. After firing, the case retracted slightly making extraction easy. This system in a simplified form is with us today in the modern brass cased bullet. The bullet was already designed for the '53 Enfield musket, with a void in the base of the pure lead bullet filled with a wooden plug which had been proven to seal against the rifling for more accurate fire. The bullet weighed 525 grains at first, was .573 inches in diameter and was loaded in front of 70 grains of black powder. The accuracy suffered in relation to the muzzle loaders till Colonel Boxer redesigned the bullet. A cavity was introduced in the conical end to keep a greater length in proportion to it's weight, which was now 480 grains. In the end this bullet proved more accurate than in the muzzle loading Enfield. There were other improvements. Compressed clay replaced the wooden plug and this was sometimes covered over with lead. There were improvements in the anvil in the primer section, leading to a simplified primer, which also led to cheap reloading. A solid drawn brass case was eventually used which proved resistant to rough handling and also delivered the desired effect of expanding and retracting. 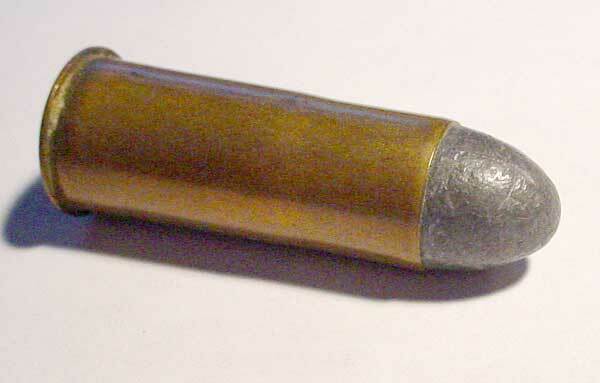 The drawn case also simplified the assembly of the bullet.